01-Thinking that your Dua is accepted at the first glance of the Holy Kaaba: Numerous people have the idea that the first time that they ever set eyes on the Holy Kaaba, any Dua that they make will be promptly answered. This is not supported by Sahi Hadith. Any hadith which we may find supporting this matter can be assumed as weak or false. 02-Kissing the Black Stone from far away and stopping mid-Tawaf to do so: The act of kissing the black stone is a beautiful Sunnah and an honor for all those who can do so. However, as there is a huge crowd, most of the people cannot reach the stone and hence send kisses from far away, when they are in line with the Black Stone. 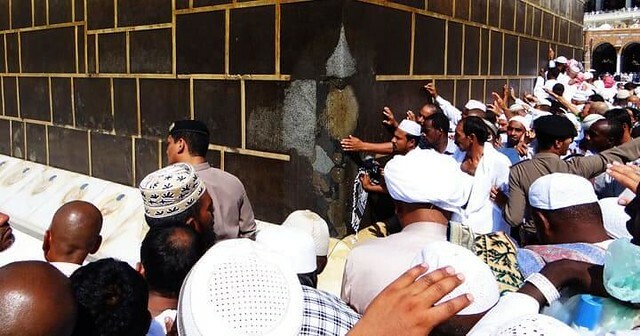 These people stop right in their tracks to kiss the Black Stone; however, they fail to realize that stopping suddenly causes disruption in the flow of the Tawaf of the other pilgrims around them. If we want to follow the Sunnah correctly, then the Holy Prophet (peace be upon him) only kissed the stone when he could and when he couldn’t, he touched the Black Stone with his hand and then kissed his hand. However, in case, there was a huge crowd, he only pointed towards the Black Stone. 03-Shouting out the Dua in unison: Some people during their pilgrimage tend to shout at the very top of their voices in unison while reading Dua while performing Tawaf. These people follow a leader or Imam who shouts out different Duas and all the people being led by him and then recites these Duas. This creates confusion for the other pilgrims as it makes them lose their focus. The better thing to do is to make a list of Duas which you may want to read during Tawaf, and read them in your own language at your own speed to get a better satisfaction and better concentration. 04-Designation of specific Duas for different rounds of the Tawaf: Some pilgrims designate specific Duas to be read on different rounds of the Tawaf and there are also special books which allow different Duas for every round of the Tawaf. 05-Thinking that the Jamarat is the Devil: When people go to stone the Jamarat they often have the wrong idea in their head that they are in fact going to stone the devil. In fact, these people think that they are stoning Iblees himself. 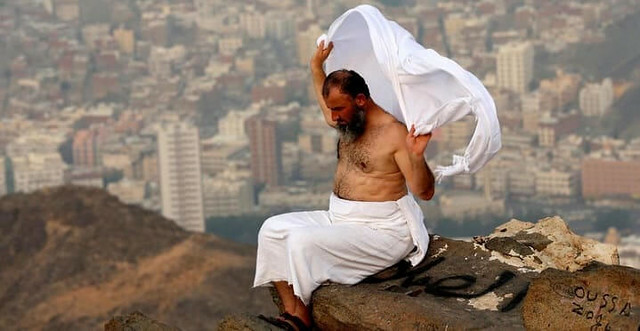 People have also started to call this act as the Stoning of the Shaitan. This is however not at all true. The Jamarat are not the devil. All we can and should do is to throw stones to these Jamarat as an act of worship and as a remembrance of the Messenger of Allah (peace be upon him) and remembrance of Allah. Hence it is advised not to cuss at the Jamarat and no need to push, shove or get emotional during the process. 06-Hair Cut after Saee: People start cutting their hair in as soon as they complete their Umrah at the end of Saee on Marwa mountain. They cut their hair from 2,3 places and consider that they are done with Umrah. The correct way of doing this is to go to the proper barber and ask him to cut your hair from all over the head. Cutting your hair from 2,3 places on the head does not relieve you from the conditions of the Ahram. 07-Wiping or touching the Kaaba: People while performing the pilgrimage tend to think that touching the Kaaba or the Maqam Ibrahim will bring them blessings, thus people wipe their hands over the pillars of the Grand Mosque or the Prophet’s Mosque and subsequently rub the hands all over themselves as they believe they are getting blessings. This act has no evidence in accordance with the Shariah. The Holy Prophet Muhammad (peace be upon him). Such an act, if it were beneficial, would have been done by the Holy Prophet and the Sahaba. However, since nothing like this has been recorded or reported this will not bring us blessings. 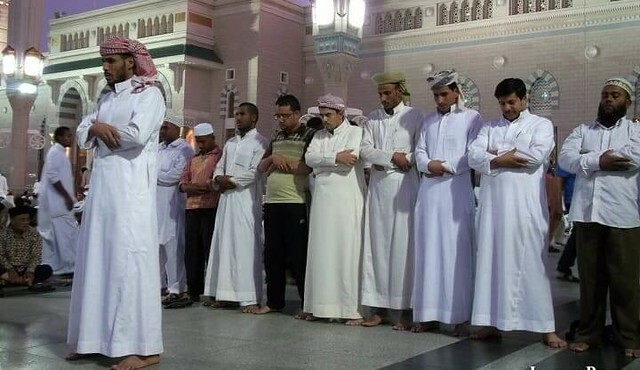 08-Praying of 40 prayers is compulsory in Madina: Some people think that it is necessary to complete the 40 prayers in the Prophet’s Mosque and that it is a necessary part of Hajj. However, it is certainly not so. This act has been based on a Hadith which is considered as weak. This action along with visiting Madina as part of the Hajj pilgrimage is not necessary. It is a good thing none the less however it is certainly not necessary. 09-Wearing Ahram below waistline: I have also seen people wearing Ahram below waists line. Thus, the area below the belly button is exposed to everyone. This is the private area or Satr and every Muslim has the responsibility to hide it from others. It is not appropriate to pray even Salah if this area is exposed. 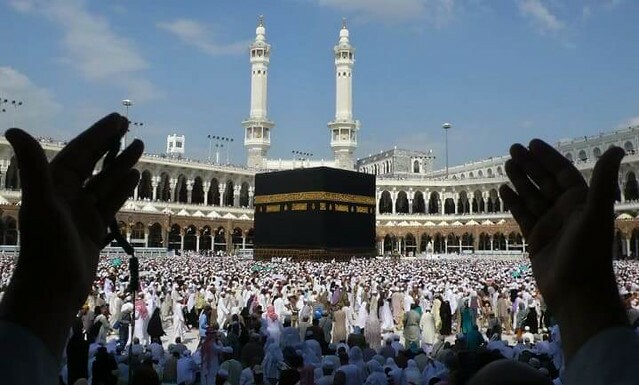 10-Doing Tawaf on behalf of someone else: Several people make this mistake every year by circumambulating the Holy Kaaba seven times and then they donate the reward of this action to their family or loved ones who are either unable to perform it themselves or have passed away. This is not valid as there is no evidence to support this. Hajj and Umrah can be done on behalf of another, however, only the Tawaf cannot.